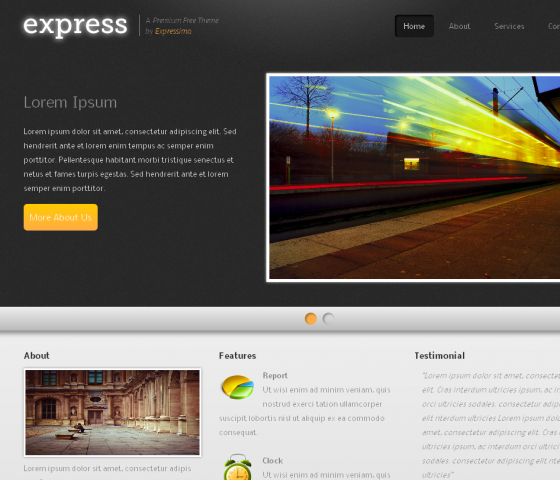 Express is a premium free theme from Expressima, one of Starqle’s products. This is a professional/business/portfolio theme that showcases your business products or services, company info, latest news, etc. It’s perfect for freelancers, startups or small business. Express comes with an awesome carousel on the homepage for featured stuffs, fully working contact forms, and custom post types. Works with Firefox 3+ and Chrome 10+.